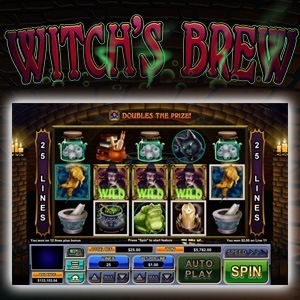 The Witch’s Brew slot game comes with many special feature ingredients that will surely give you the magic to brew up some wins! 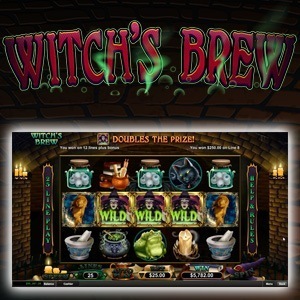 With 5 reels and 25 variable paylines, you can join the wicked witches of Halloween and scoop up free spins, free games and potentially trigger the non-progressive jackpot! 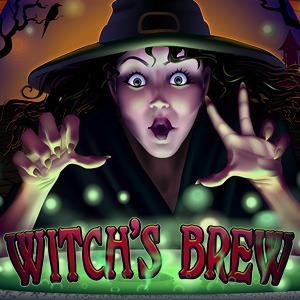 Every potent concoction with winning potential needs a qualified bewitching player to stir the cauldron, and with plenty of bonus features, that could be you! Available on Download, Instant and Mobile, you can see for yourself how this Real Time Gaming slot game can spook you silly with bonus wins!